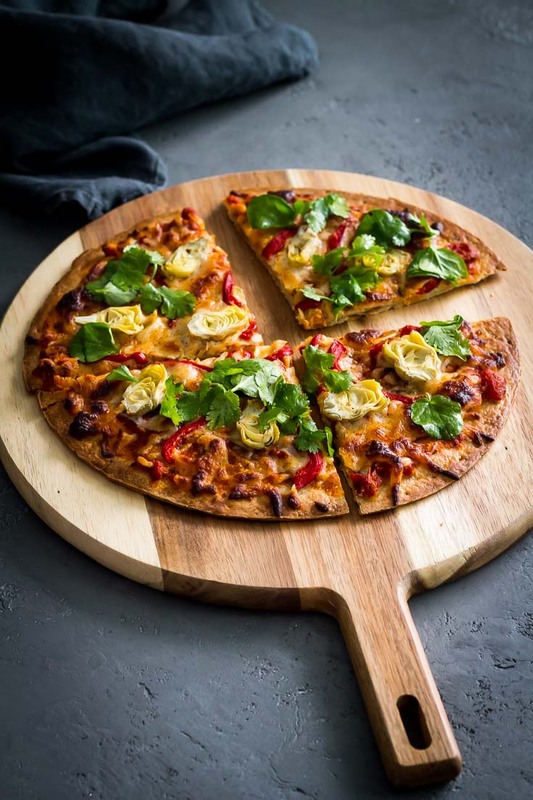 Cauliflower Crust Pizza with Artichokes and Roasted Red Pepper is truly a guilt-free pizza. 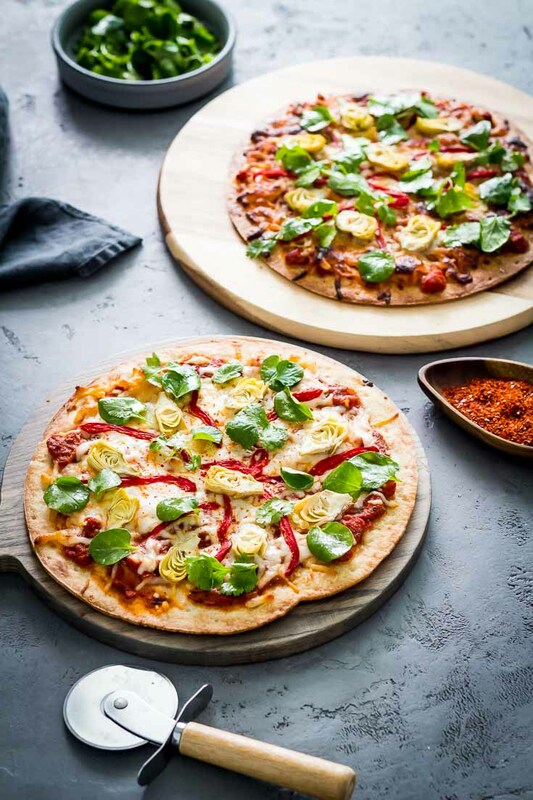 It is gluten-free, vegetarian, low in carbs, low in sugar, and made with a nutritious cauliflower pizza crust. 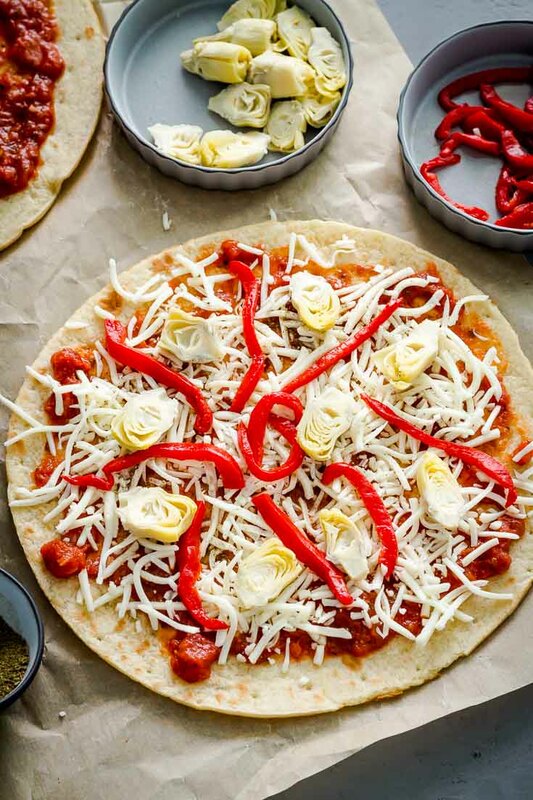 For the toppings, I used mozzarella cheese and traditional Italian products from Flora Fine Foods like baby artichokes, roasted red peppers, and pizza sauce. And for a fresh flavor, I topped the Cauliflower Crust Pizza with watercress and cilantro leaves dressed in a light lemony vinaigrette. Hello my friends. I’m so excited to share this Cauliflower Crust Pizza recipe with you because this pizza is healthy-ish and so tasty with a thin, crispy crust, and it takes no more than 15 minutes to make. Also, I love to partner with brands that offer good, quality products. 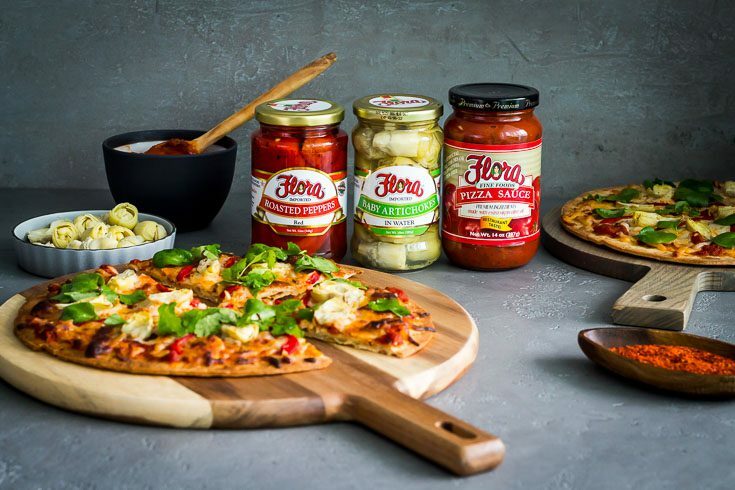 I feel like I’m in heaven when I go to the Flora Fine Foods website, and I pick the products for our monthly recipe collaboration. It’s difficult to decide what products to choose because I want them all. By now, you have probably noticed that I love to use peppers in my recipes. 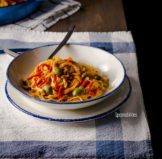 October’s recipe was Roasted Red Pepper Pasta with Sicilian Olives. 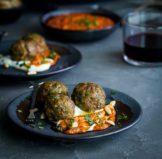 In December’s recipe, I used piquillo pepper in pesto for the Spiced Lamb Meatballs, and in one of my first recipes from the blog, Roasted Red Pepper Hummus. I like to make everything from scratch when I can. But with my busy schedule and with so little time to cook, I take shortcuts to make easy recipes with 1-2-3 steps. 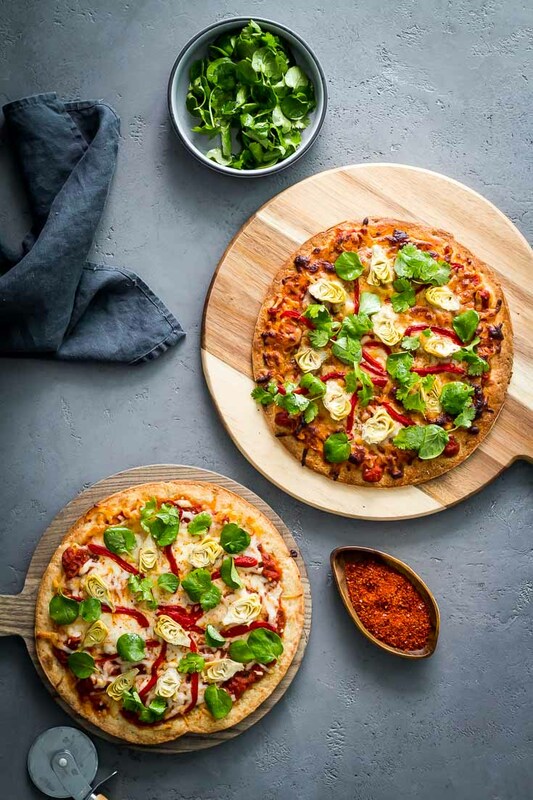 This Cauliflower Crust Pizza recipe is the perfect example because every ingredient is store-bought, even the cauliflower pizza crust. In just 15 minutes you can have a quick dinner on a busy weeknight. 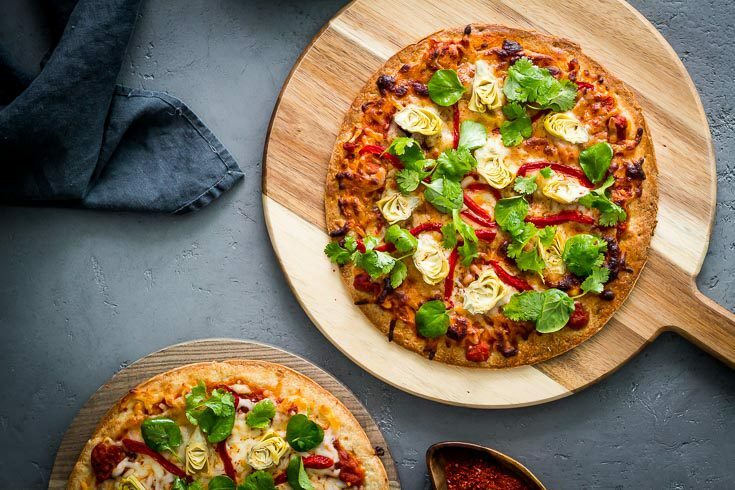 This pizza is keto-friendly if you make it with a homemade cauliflower crust, because the store-bought pizza crust has 32 grams of carbs, plus the other ingredients. If you make a homemade cauliflower crust, the total carbs will be under 5 grams. What Ingredients could be in Cauliflower Pizza Crust? The cauliflower pizza crust that I found at my local supermarket was Caulipower. 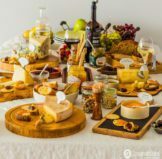 But check what other options are available at your local market and compare the labels, and choose the one with the best nutritional benefits. Just be careful because most store-bought brands have tons of other ingredients which can add other starches like cornstarch, rice flour, cornmeal, corn flour, cassava flour, and tapioca. Some of these starches are not as healthy as the brands advertise. For example, cassava flour is being well promoted in the Paleo community as a great alternative because it is gluten-free. Check out this article from LiveStrong. Note: I don’t have anything against yuca or casaba. I love boiled yuca, yuca fritters, mashed yuca, etc. This Cauliflower Crust Pizza is very easy to make. I don’t even need to give a detailed explanation for every step. So, check the recipe card and you will be surprised how easy it is. 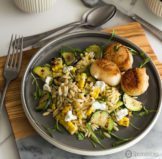 Staying with our mission of “No Jars Left Behind,” I can’t let you go without sharing some tasty ideas of what to do with your leftover ingredients, and how to turn them into a delightful new recipe. 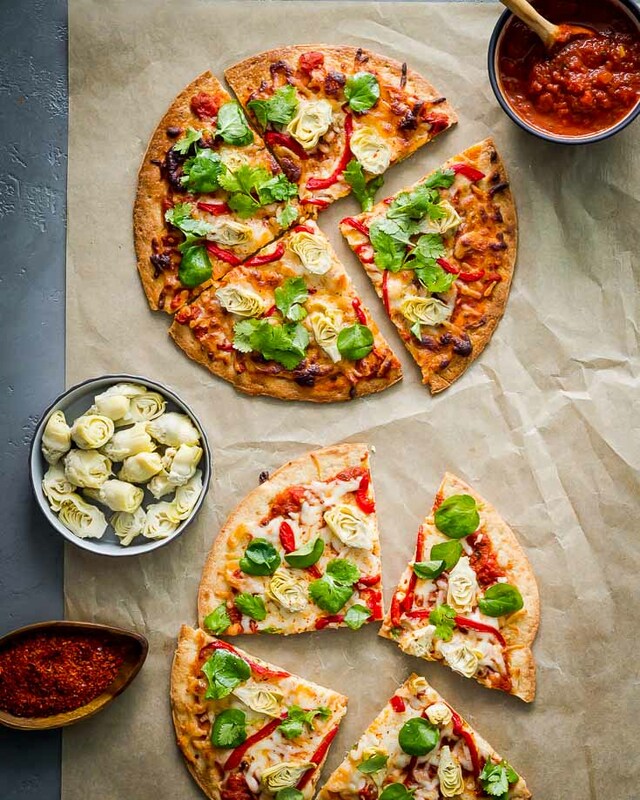 Here are some yummy recipe ideas you can make with your leftover pizza sauce. And if you need more details on how to make the below dishes, leave me a comment below or send me an email. Chicken parmesan or eggplant parmesan. Meatloaf – use the pizza sauce instead of tomato sauce or marinara sauce. Use the pizza sauce with your favorite pasta or veggie noodles. Use the pizza sauce as cocktail sauce with shrimp, with mozzarella sticks, or fried polenta sticks. Stuff some peppers, tomatoes, or zucchini and top with pasta sauce. Make a panini with provolone, basil, salami and chicken. 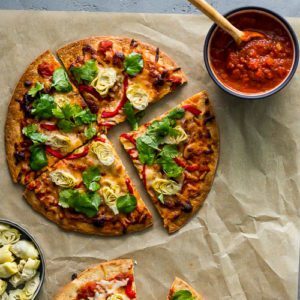 Make chili with an Italian pizza flavor. 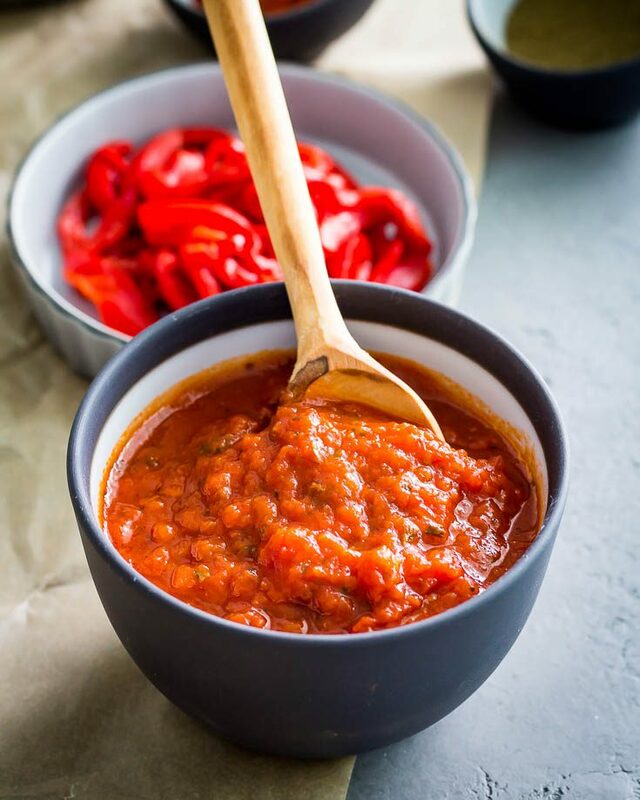 Pizza sauce will give a wonderful flavor to a ground turkey or ground beef. Shakshuka or eggs in purgatory with pizza sauce. Mussels simmered in pizza sauce. Add the pizza sauce to minestrone soup. Baked potato with pepperoni, mozzarella. and pasta sauce. Poached cod in pasta sauce. Olive Tapenade made with pasta sauce, chopped Kalamata olives, chopped roasted peppers, capers and parsley. Make subs with meatballs and pizza sauce. I can come up with so many options for you. Don’t let your half empty jar of pizza sauce go bad. If you ever have questions, or need some ideas for using your leftover ingredients, send me a message. I am here to assist you. Thank you for your support and have a fantastic week! This delicious and crispy Cauliflower Crust Pizza has a delightful Italian flavor. 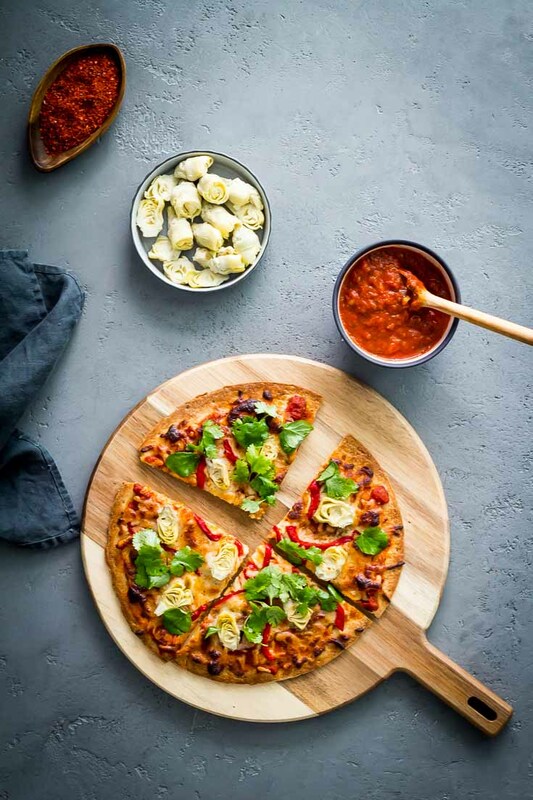 Made with pizza sauce, baby artichokes and roasted red pepper by Flora Fine Foods, and topped with a cheesy layer of mozzarella, aromatic Dominican oregano, and fresh watercress and cilantro leaves, all dressed in a lemony vinaigrette for a fresh, herby taste. Add a sprinkle of Aleppo pepper for a final touch. Sprinkle with pepper flakes -generous pinch- I didn’t have pepper flakes and I used Aleppo pepper. Position racks in the upper and lower thirds of the oven, and preheat to 425 degrees F.
Put each crust on a baking sheet. 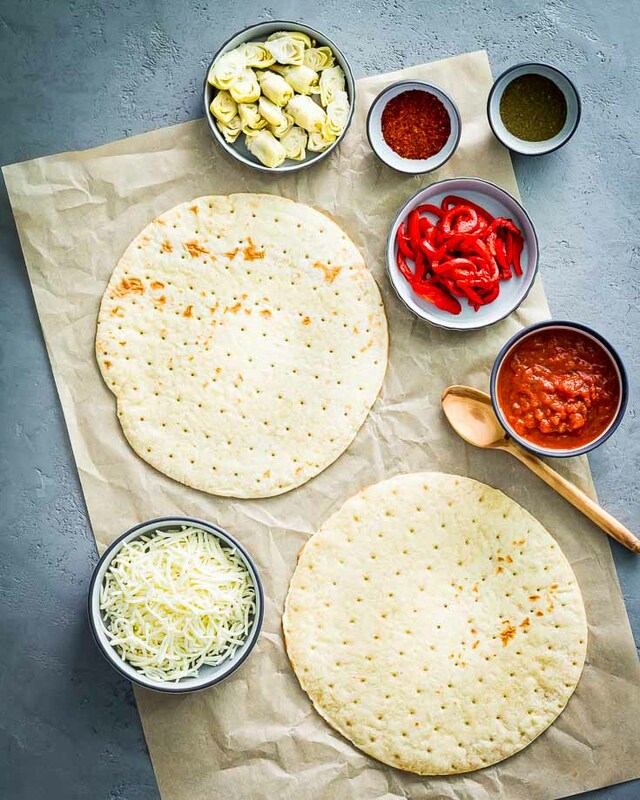 Divide the pizza sauce between the crusts and spread pizza sauce evenly over your crust, leaving ¼ inch around the edges. Sprinkle with the mozzarella, and oregano. Scatter the artichokes & roasted red pepper evenly over the pizzas. Bake until the crusts are crisp and the cheese browns slightly, 12 to 15 minutes. Prepare the vinaigrette for the greens in a small bowl with one teaSpoon lemon juice, one teaSpoon extra virgin olive oil and a pinch of salt & pepper. Mix with the watercress & cilantro. Top the pizza with red pepper flakes or Aleppo pepper. Cut the pizzas into quarters and divide among plates. I am going to try this for dinner tonight. it looks so delicious.